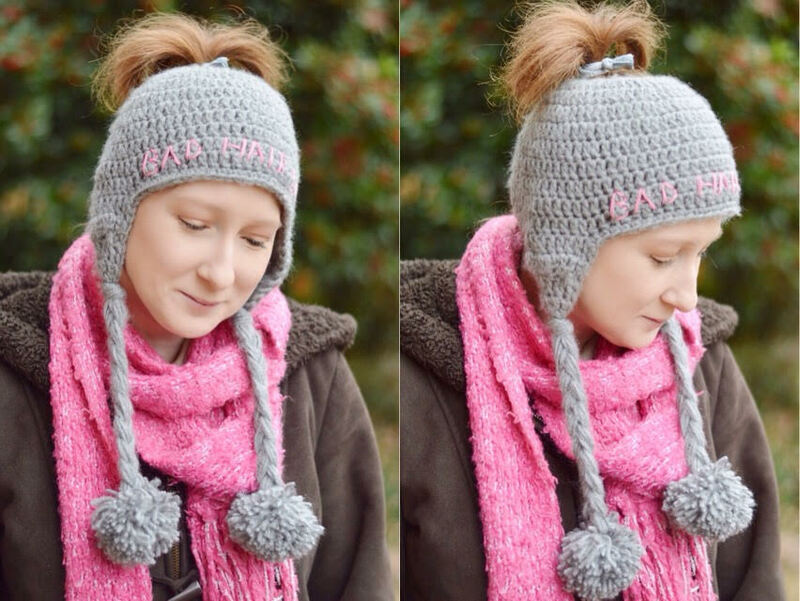 With Alex: Messy Bun Ear Flap Hat Free Crochet Pattern! 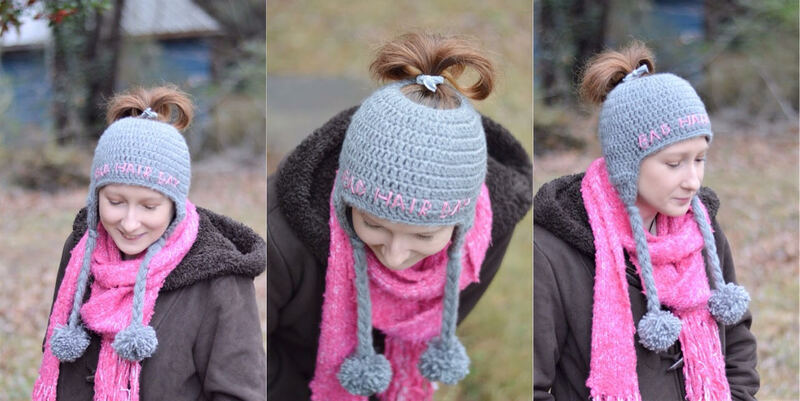 Messy Bun Ear Flap Hat Free Crochet Pattern! Hello! The messy bun hat craze has hit so many crocheters and now it's my turn! This is my take on the messy bun hat but I wanted ear flaps on mine. How do ya'll like my Bad Hair Day hat? I kind of love and it is so comfortable to wear! 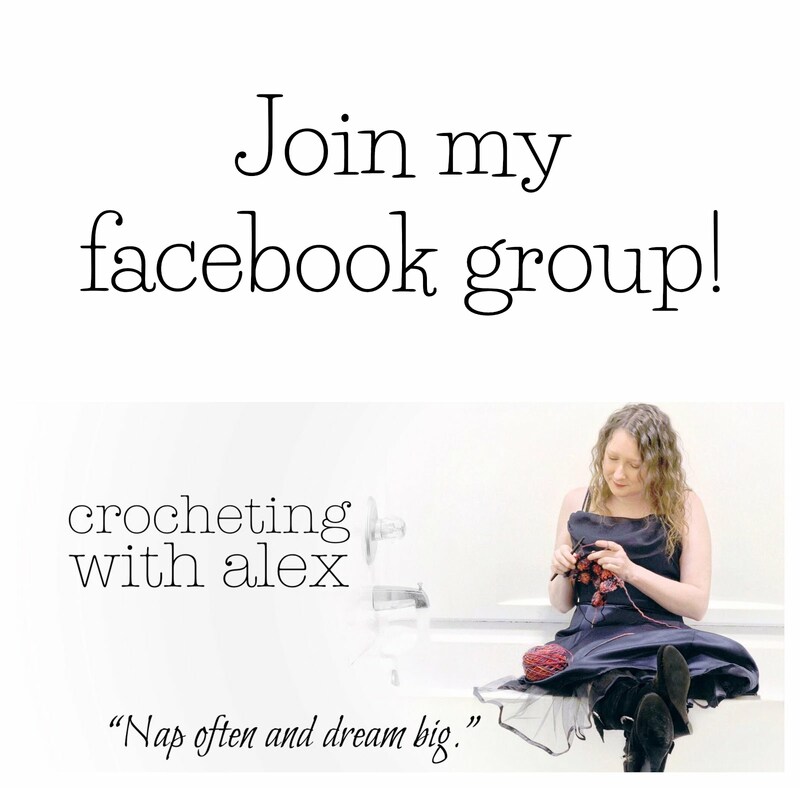 Scroll down for the free crochet pattern! Embroidery thread for "Bad Hair Day"
Make sure the hat is right side out with the back seam facing you. Count to the left 10 stitches, insert the hook and slip stitch in. Make sure the hat is right side out with the back seam facing you. Count to the right 19 stitches, insert the hook and slip stitch in. Follow the pattern for Ear Flap 1. Cut the yarn and weave in the ends. Make sure the hat is right side out with the back seam facing you. Insert the hook into the middle of the hat in the last row and slip stitch in. Ch 1 and sc around the entire hat. Cut the yarn and weave in the ends. Add braids, tassels or puff balls, and embroider "Bad Hair Day" if you would like. I hope ya'll like this pattern! If you have any questions or comments, email me at withalexofficial@gmail.com and if you make any of these hats I would absolutely LOVE to see! Post pictures to my facebook page, tag me on instagram @_with_alex or you can join my new private facebook group and post pictures in it! If you love this pattern and would like to purchase the pdf download, click here. I love this pattern! I am wondering how you attached the pom poms to the end of the braid though? Kitty Cat Applique Free Crochet Pattern! Adult Small Beanie Free Crochet Pattern!